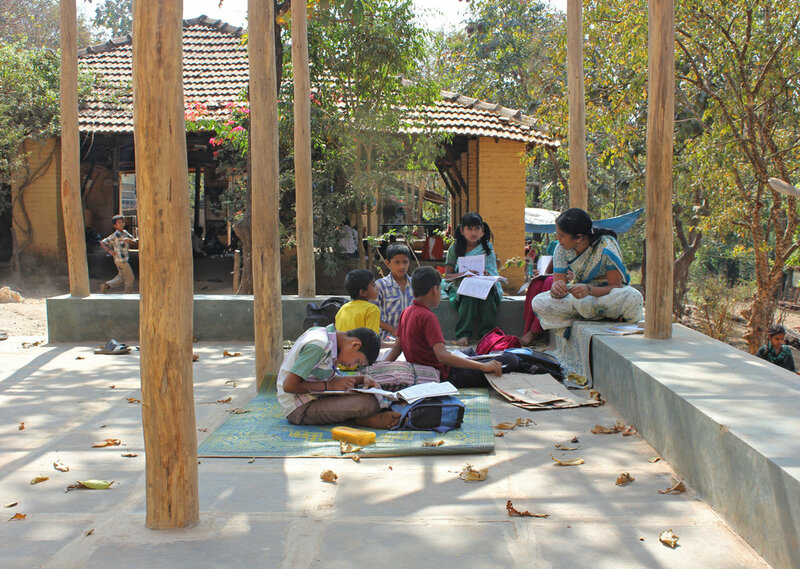 The project for a library, art studio, and labs for this village music school is the first ‘formal’ built structure on the campus. 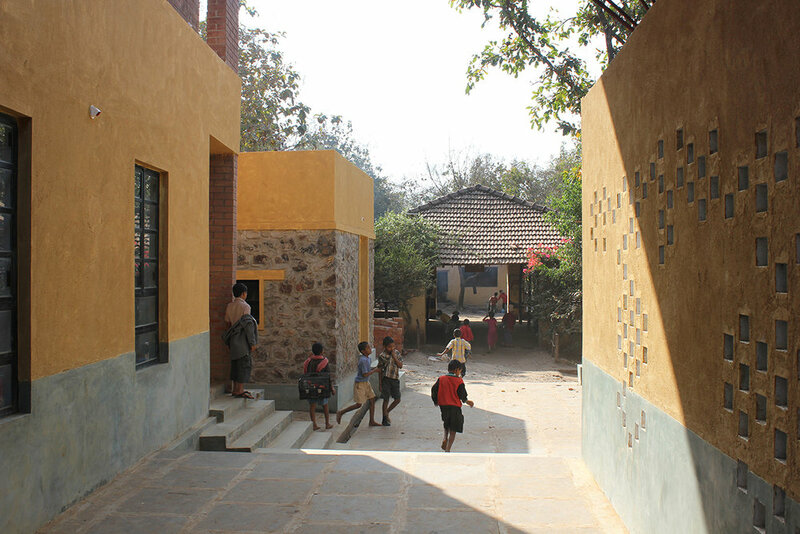 The design intent was to create a layered and adaptable set of spaces for the children and the community, within the constraints of a tight budget, logistics, and available resources. It was also to introduce a language, a template that sets out fundamental, sustainable and gentle guidelines to start building on this large wild land. The program is distributed amongst a cluster of three blocks, arranged around an open court and corridor. 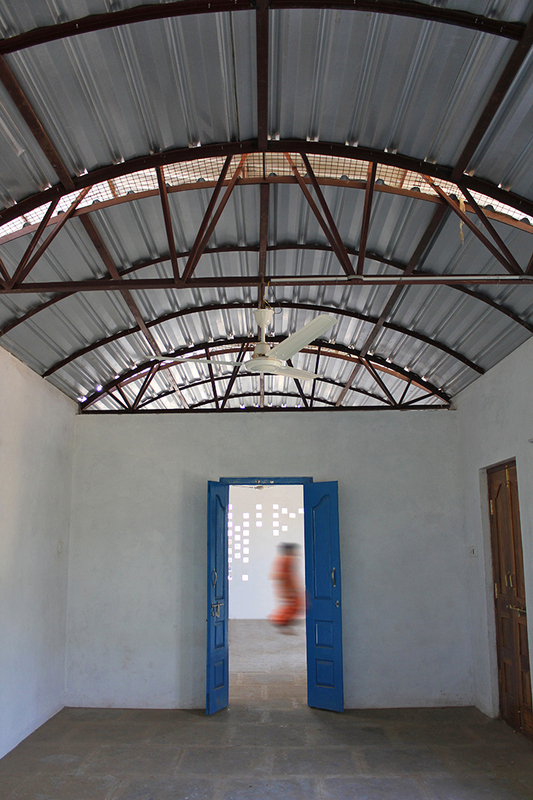 This distributes the ‘weight’ of the building both visually and literally. The composition of the blocks and their orientation was an exercise in creating a hierarchy of the masses using simple volumes. 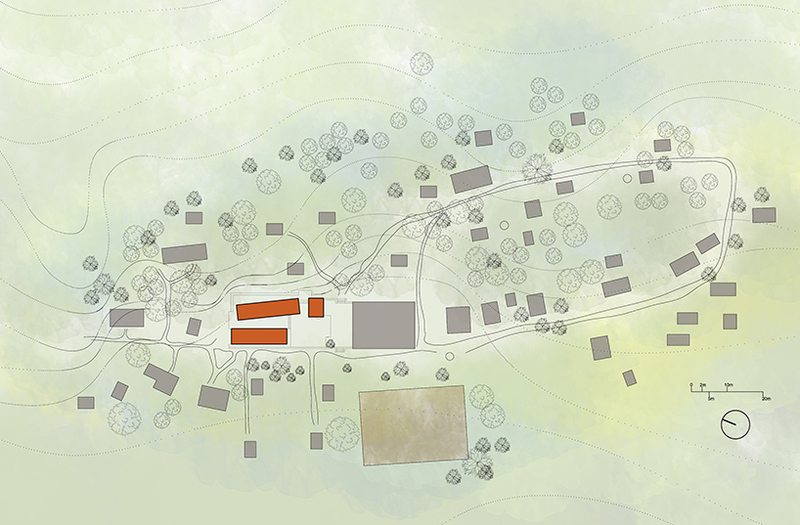 Views and perceptions of the spaces are different from each of the blocks.